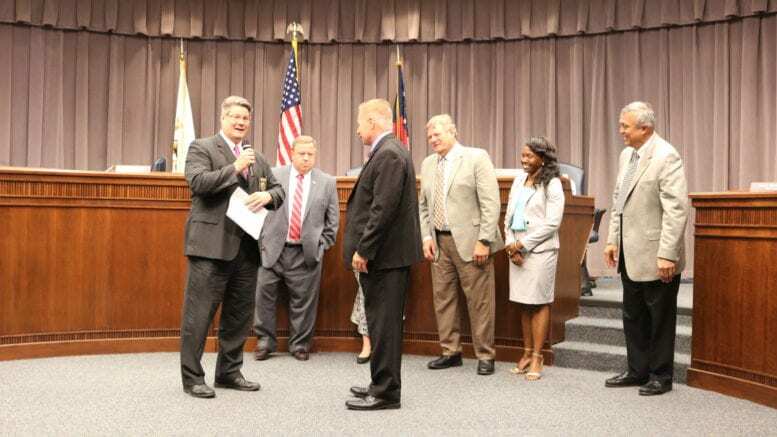 Citing problems with the selection process, Cobb County District Commissioner Bob Ott cast the sole vote against the approval of Michael Register as Cobb County police chief. He said his vote does not reflect his feelings about Register. I have concerns about the process that this board followed in the selection of the chief. Number one, we had one county manager when we started the process and we have a different county manager now. And I do not believe the new county manager was given the opportunity to interview the five finalists as he should have because he was the one making the recommendation …. my feeling (was) that the decision was forced upon Mr. Hosack, and I don’t think that’s the way it should have been. I was disappointed to see that some of my fellow commissioners and some of the other staff had meetings outside the interview process, which I believe should not have happened. So I cannot support this selection because of the process that the board went through in making that selection. But I want to emphasize the fact that my vote is not a vote against Mike, it is against the process that this board took in the selection of the chief. Ott represents District 2, which covers most of Smyrna, Vinings, and part of East Cobb. His district also includes the Cumberland area around Suntrust Park.